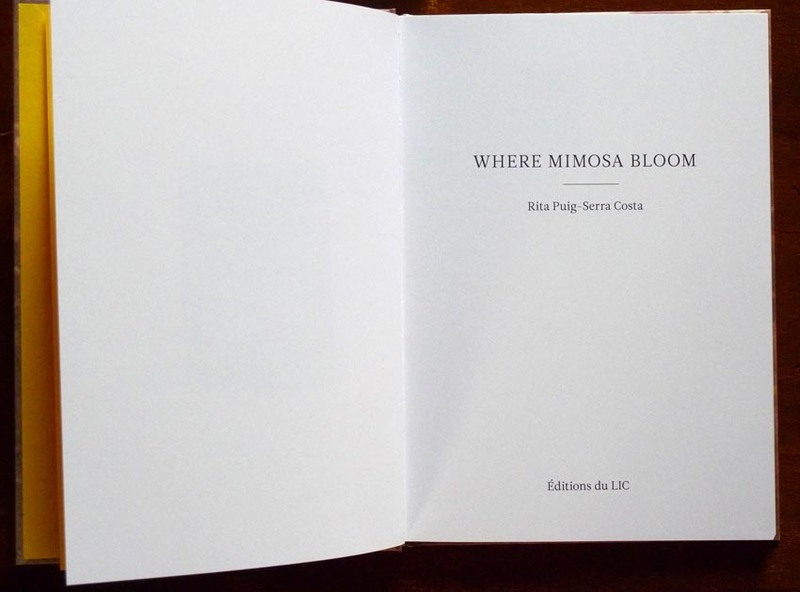 Where mimosa bloom, by Rita Puig-Serra Costa. 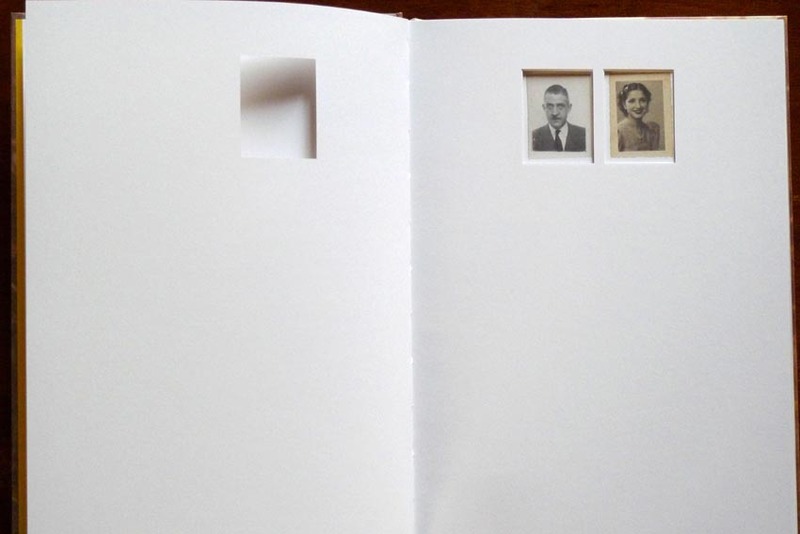 On the cover of the book, an old family photo, almost faded away. 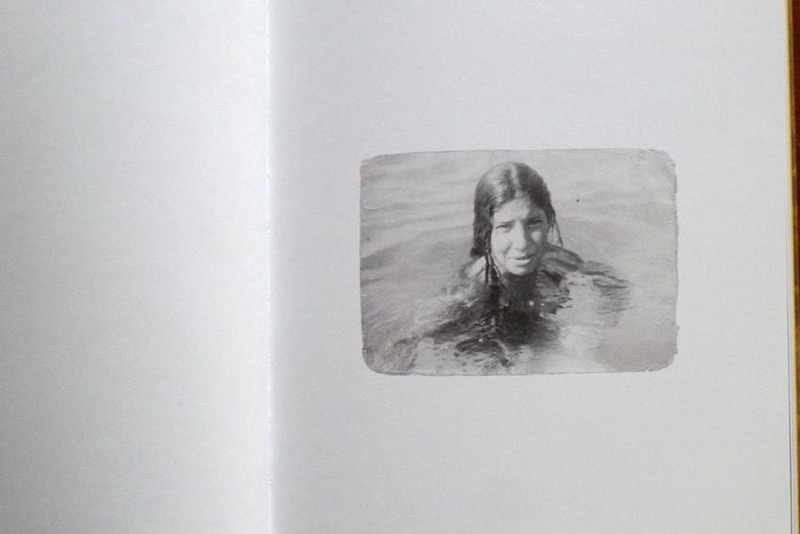 The slow disappearance process of an image shows the counting of time. 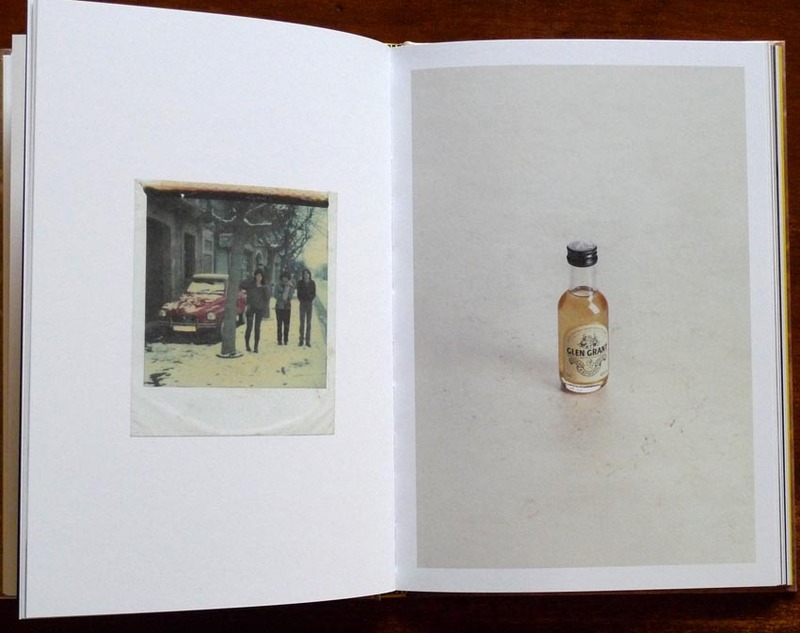 It reflects the process of the memory which slowly erases the continuum of a life. 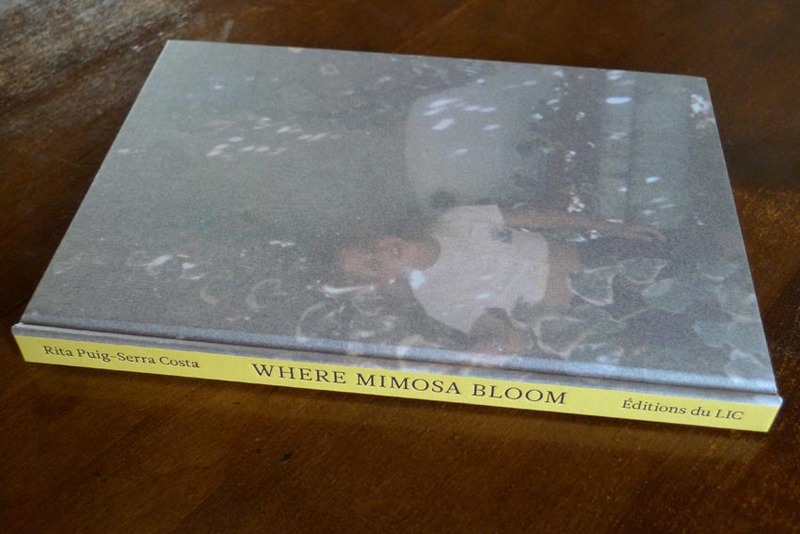 Where mimosa bloom is a book about the loss of a beloved one who died too young, the mourning and the grief, but it is also about how a parent, in this case, a mother, acts to help a child to construct herself. 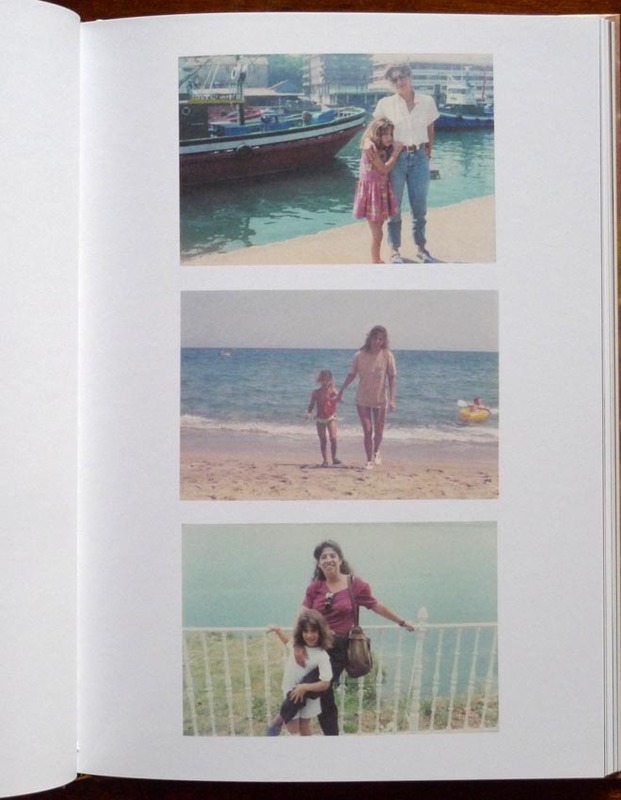 At the end of the book, a two pages long text, written by Rita, is a wonderful tribute to her beloved mum, in the form of a farewell letter. 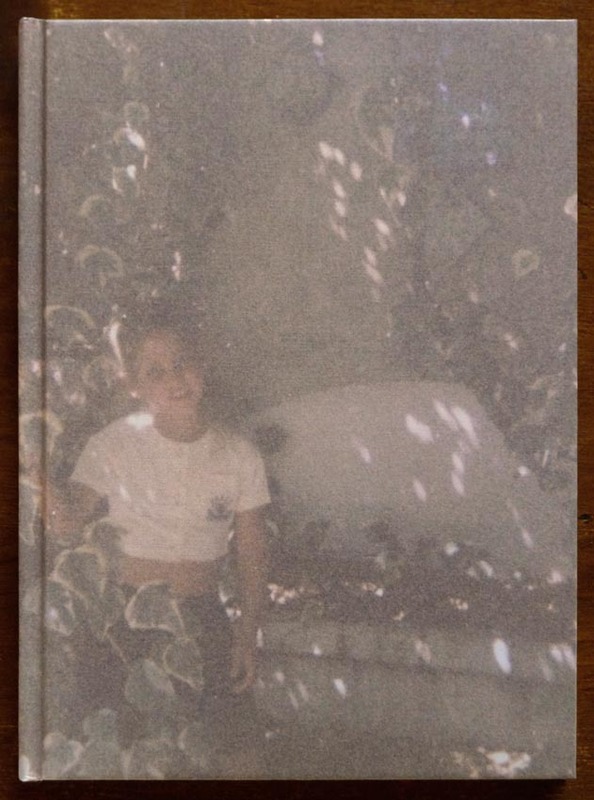 Reading this book, is like spending an afternoon with Rita when she decided to explore the photographic archives of the family. The kind of boxes we all have at home, and in which, year after year, we go back to dig an almost forgotten piece of the family memory. You can almost hear someone mention an anecdote related to the image. 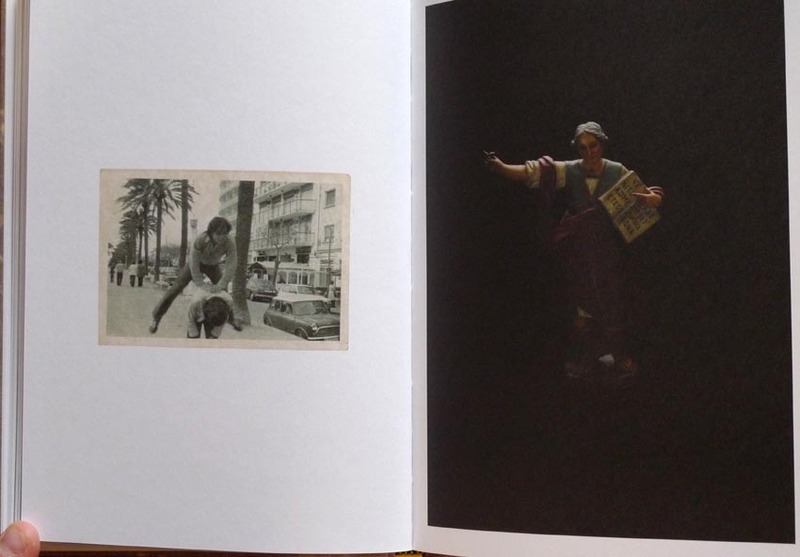 Photos and objects came up in no particular order, and that’s the beauty of the process. We don’t follow the story, but a new piece of the puzzle enlightens something glimpsed earlier. 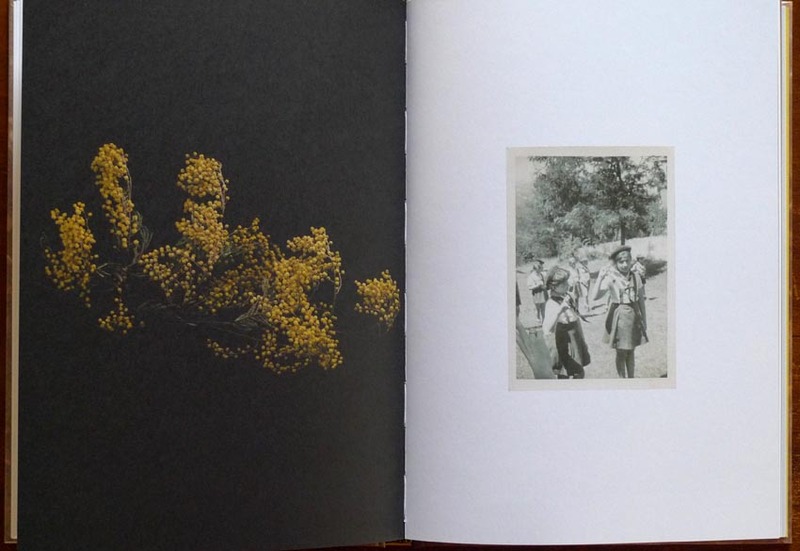 The book opens with a genealogy tree of the family. 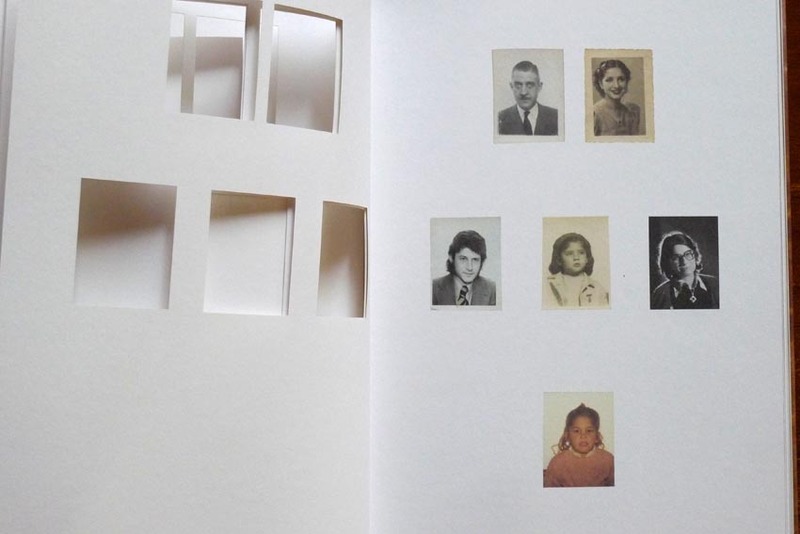 5 pages with holes, reveal three generations : the organisation of the family with her mum in the middle, the parents, brother and sister, and Rita, at the bottom. 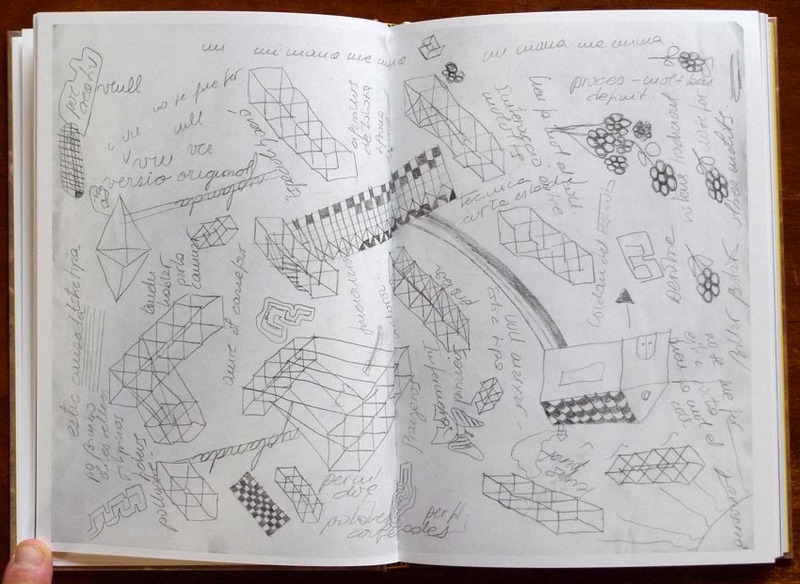 This is like the cast of a movie, a clue of what we’ll find in the following pages, emphasizing a story to be built. 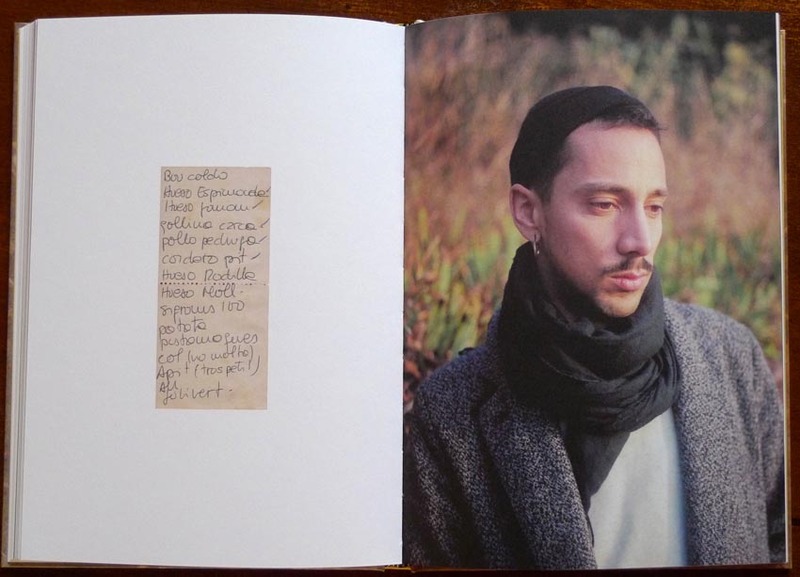 The organisation of the book is an alternance of contemporary photographs of family members, interlaced with objects preserved as treasures, and old photographs from the family « box » mentioned above. All the people portrayed are staring off-camera (except one), with modesty, to let the memories outcrop, they’re concentrated, maybe on the remaining souvenirs, sharing all together the sadness of the mourning process. 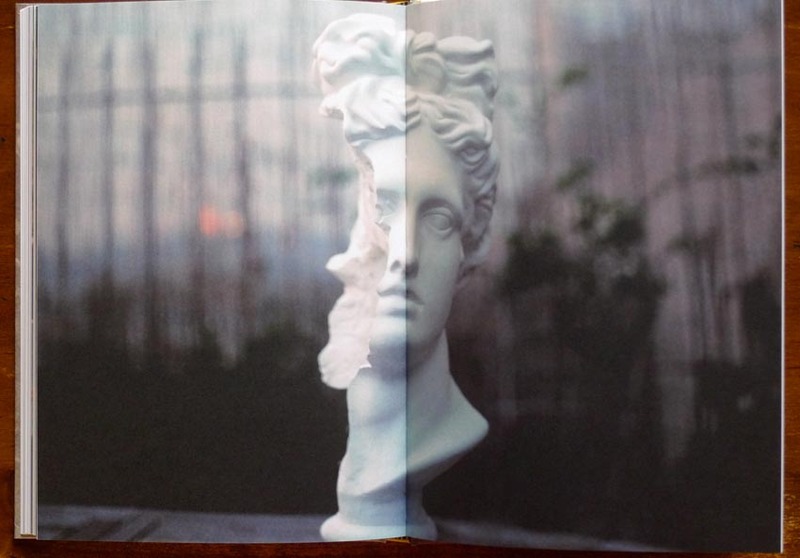 One of the last photos in the book is a broken statue which, despite its degraded state, exudes an everlasting beauty, a metaphor of the disease which destroyed her mum : whatever the death can do, the souvenirs will remain beautiful. This book resonates with me for two personal reasons. The first one is very basic : like Rita, my mum passed away and I find a lot of similarities with her history, even if the cultural background is completely different. To share a story may help to overcome the grief process, both for the author and for the reader and the catharsis may operate. The second deals with the title which I find beautiful. I was raised in the Southern part of Bretagne in France. A protected area which has a particular climate allowing palm trees and mimosas to grow and flourish. Winters are never cold there, but they are rainy, wet and grey. In February, the first sign of the revival is when mimosas bloom. The metaphor of life, erasing all the pain and suffering. It is the time of the year to start gardening again. The cycle of nature operates to refurbish each of us in energy and faith for a brighter future symbolized by the summer to come. The time of an accomplished Farewell. 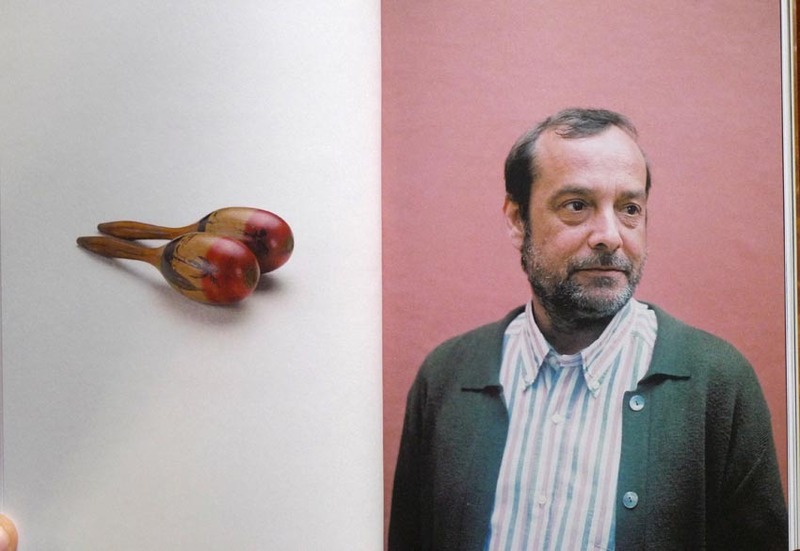 Hardcover book, published in 2014 by Editions du Lic, 96 pages with 54 photos. 16 x 22,5 cm. 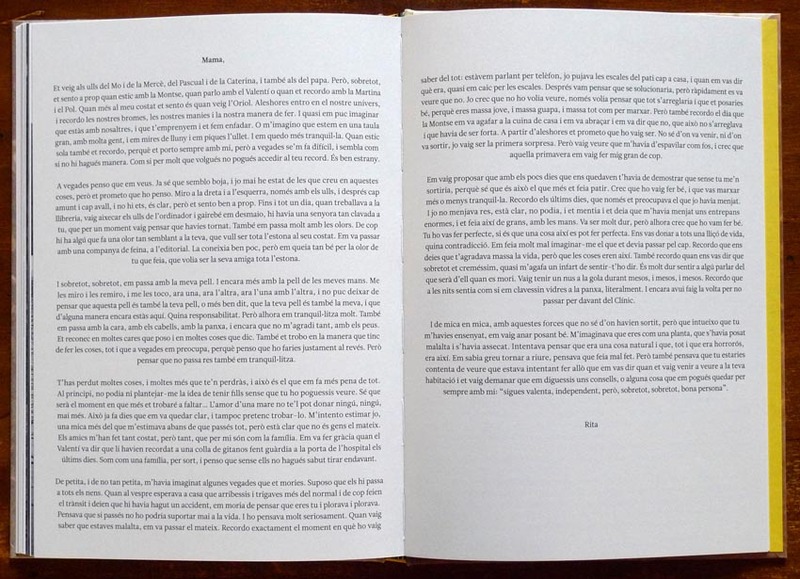 Print run of 460 copies. 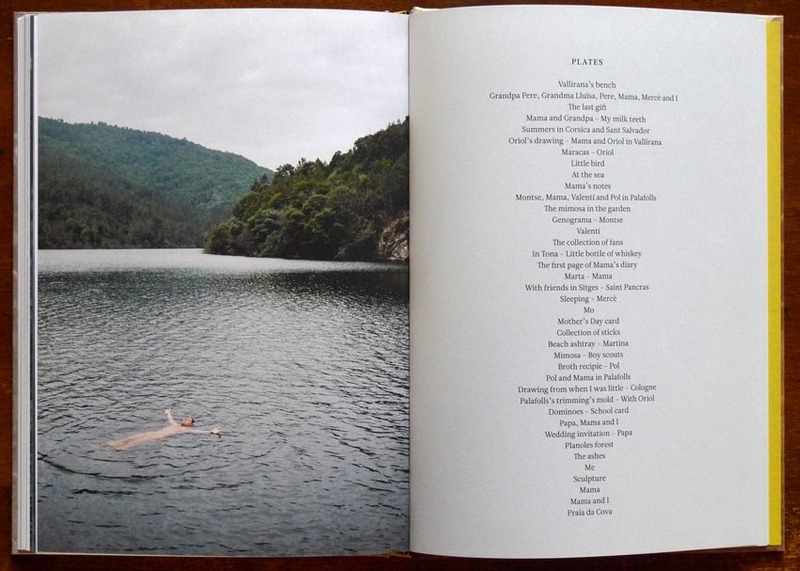 All images copyright Rita Puig-Serra Costa and Editions du Lic.